Denso is to invest approximately 180 billion yen (US$1.6 billion) over three years – from FY2018 to late FY2020 – to support development and production of electrified automotive products, systems and technologies. To accelerate business execution around electrification, Denso is establishing the Electrification Innovation Center at its plant in Anjo, Aichi, Japan, in May 2020. The centre will conduct advanced R&D, develop and test prototypes, and launch mass produce newly developed automotive electrification products, systems and technologies. Industrial components giant Nidec has agreed to acquire Omron’s automotive business, formally called “Omron Automotive Electronics”. The two companies do not appear to have released the financial details of the agreement, but Nikkei is reporting that Nidec will pay $890 million for the company. 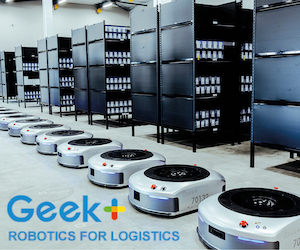 Kiva Systems was a company that built a mobile robot for logistics operations, mainly for use in warehouses. It was a basically a small platform on wheels, and proved popular throughout the industry. But then it got bought out by Amazon, which initially said it would still sell it to the rest of the logistics industry but actually didn’t. Instead it rebranded Kiva as Amazon Robotics and turned it into a business unit of its own. The online retail giant now has one of the largest number of robots in operation of any company in the world. Despite slowdowns in certain industries, Vietnam’s automation and control systems market is witnessing stable growth, according to a report by Frost & Sullivan. Robust expansion in the manufacturing and construction sectors plus increased foreign direct investment, growing end-user need to optimize processes and improve efficiency, and development of special economic zones are factors fuelling growth. Government incentives and adoption of new technologies are driving the growth of the Malaysian automation and control systems market, according to a new report. 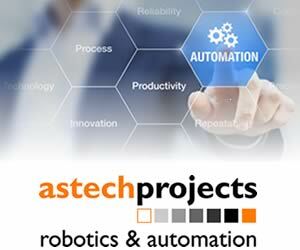 The Malaysian automation and control systems market, one of the biggest for suppliers, is stable and growing, says the study by Frost & Sullivan, which projects the market to be worth more than $409 million in the next four years. NSK says its linear guides bring “higher dynamics” to pick-and-place machines. As machines for the semiconductor industry operate with cycle times of one second or less, pick-and-place units must offer very high dynamic performance.